Think whisky and what pops up are images of old men in leather-clad armchairs puffing on pipes around a fireplace in private libraries. No more — or so we thought. Whiskey is quickly becoming the drink of choice for the younger generation; just one evidence is the massive highball craze among youths in Japan. This resurgence is brought about by the rise in cocktail culture and increasing interest in craft distilleries, and in part due to genius marketing by giant distillers like Diageo, who recently teamed up with HBO to release a limited-edition The Game of Thrones Single Malt Scotch Whisky Collection to celebrate the eighth and final season of the highly acclaimed TV series. Featuring eight scotches — each cleverly matched with one of the iconic Houses of Westeros, as well as the Night’s Watch — the collection pays authentic homage to the Seven Kingdoms and beyond. Take House Stark, for instance. Its characteristics that are greatly shaped by Winterfell’s frigid temperatures are perfectly matched with Dalwhinnie, known for being one of the highest distilleries in all of Scotland. With extreme conditions, it forges the honeyed sweetness and spicy warmth of the signature Dalwhinnie Winter’s Frost, best served chilled or over ice to savour the suggestion of fresh fig and the malty aroma of a rich fruit cake. 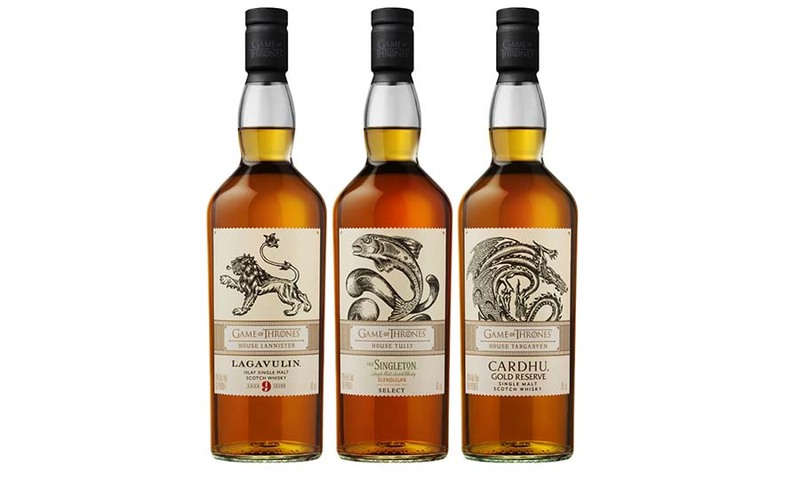 Another excellent pairing is House Lannister with Lagavulin 9 Year Old from a distillery that has been crafting whiskies on the shores of Islay for more than 200 years, bearing one of the most legendary single malt brands. It marries the cunning meticulousness and tenacity of the Lannister to conquer the Iron Throne with the roaring single malt that recalls the Lannister’s riches and is best served neat or with a just a drop of water. Prepare your palate to be rewarded with an explosion of briny-sweet smoky flavours followed by a lingering aftertaste of caramelised banana, vanilla and burnt marshmallow. 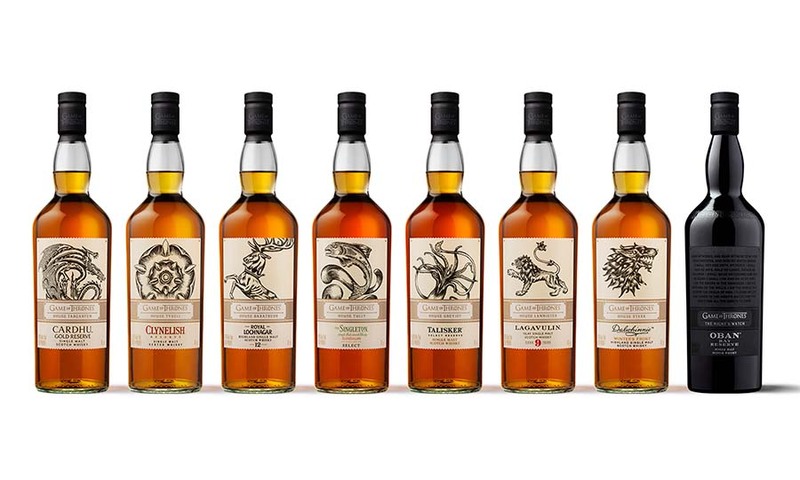 Here are the pairings from the rest of the collection: The Singleton Glendullan Select for House Tully, Cardhu Gold Reserve for House Targaryen, Talisker Select Reserve for House Greyjoy, Royal Lochnagar 12 Year Old for House Baratheon, Clynelish Reserve for House Tyrell, and Oban Bay Reserve for The Night’s Watch. 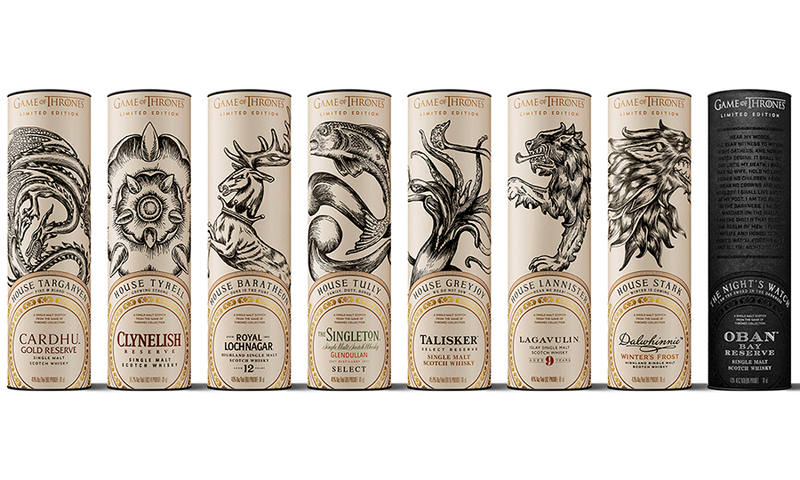 Packaging for the collection is intricately designed, with each of the labels depicting the family crest of the Houses: a golden lion for the Lannisters, a leaping trout for the Tullys and a three-headed dragon for House Targaryen. As the grand finale begins, it’s time to hunker down with this collection for the coming of Winter. This limited-edition Game of Thrones Collection is available in Singapore at 1855 The Bottle Shop stores or online at www.asherbws.com.